Just a couple of ingredients and less than 10 minutes is all you need to make your own Mayonnaise from Scratch at home! Since starting our Scratch Cooking journey we’ve been so pleasantly surprised at how simple so many everyday products are! 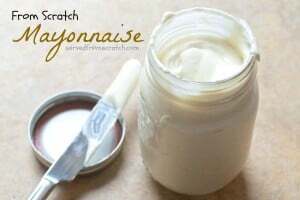 Mayonnaise From Scratch was one that surprised us the most it has to be one of the easiest condiments to make from home! Everything into a blender except the oil, give it a good pulse, then slowly… like super slowly add the oil with the blender still blending. First, if you can, just a drop at a time. Then a super slow small stream, then a steadier stream until it’s all incorporated. 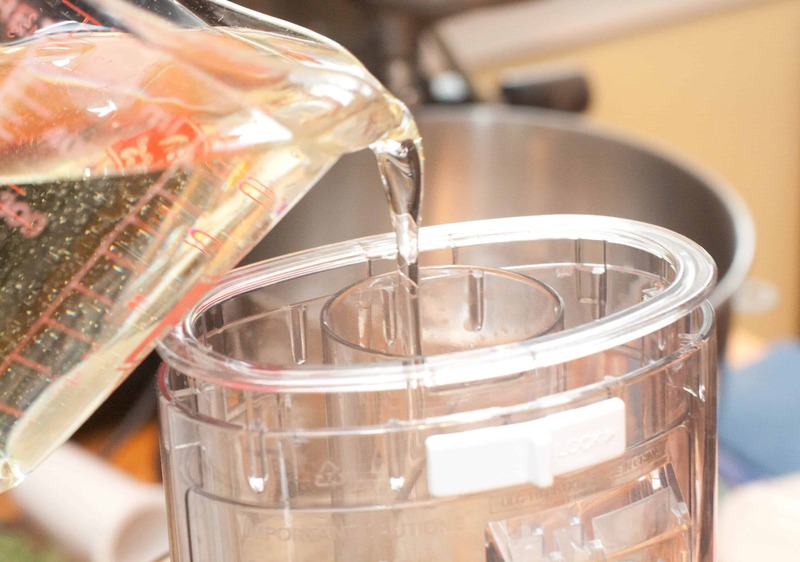 This is the process of emulsion – the blending of two otherwise ‘unblendable’ liquids: Oil and Vinegar. The egg yolk acts as the emulsifier, the binder that keeps the two liquids together and prevent them from separating. So simple. So easy. And SO much better tasting. 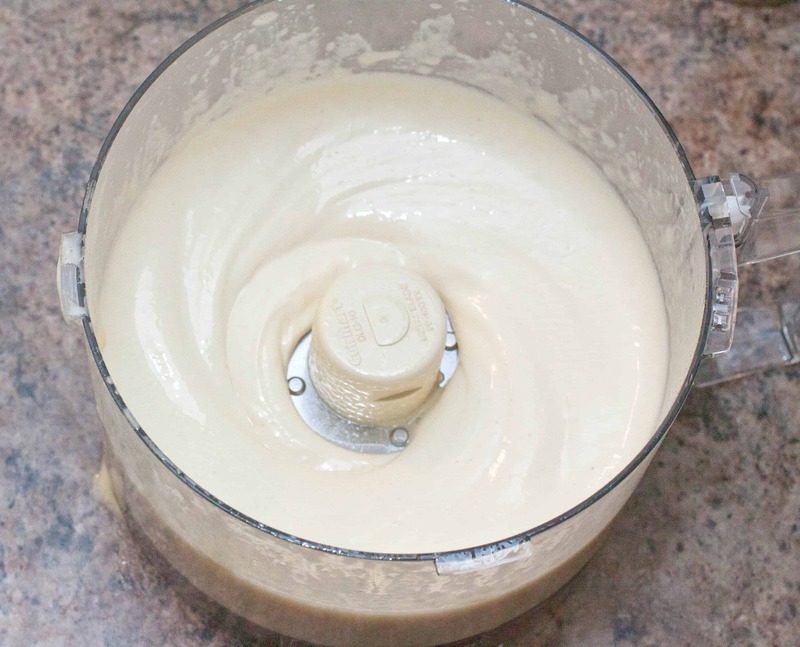 Mayonnaise from Scratch, it’s one of the easiest condiments to make at home, from scratch. 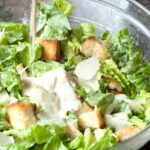 Then, you can use it on your favorite sandwich, in a delicious homemade Sriracha Mayo, or in a from scratch Chicken Salad! Put egg yolks, red wine vinegar, and Dijon mustard in food processor. 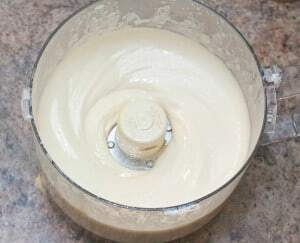 Turn on low and then slowly drip a drop at a time the oil in while blending until it takes on the consistency of mayo. 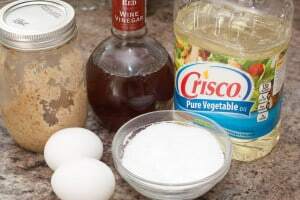 Then slowly add a stream of the oil while blending until it all is incorporated. 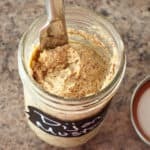 Transfer to mason jar and refrigerate immediately. The time that the mayo will last depends on the freshness of your eggs. For standard store bought eggs, at least a week - two weeks. Farm fresh eggs may allow it to last longer. 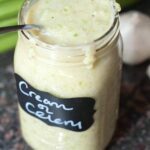 Use the freshest eggs possible for this recipe as this recipe does use raw eggs. If the mayonnaise is too thick add a few drops of water or if it is not thick enough, with the machine running, add a little more oil. I’m wondering if I could sub in coconut or avocado oil? 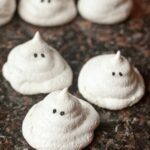 This recipe is getting pinned. I need to figure this out! Thanks Tracy! Who knew making mayo would be so easy? 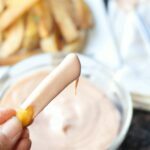 I will never go back to store bought mayo, I use olive oil and it turns out great. Homemade mayonnaise is so much better than any store-bought product. Looks delicious! 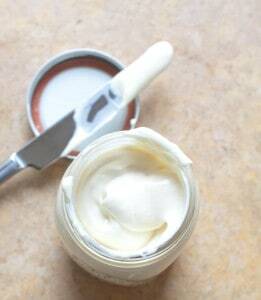 Thank you for the lovely step by step method in doing this Mayo. Surely tasty and helpful information . Many to definitely make this. Mayonnaise always tastes so much better when it’s homemade, I love it!